I have a heart made out of stone. I know this for various reasons (a long-standing lack of empathy being one of them. you probably think i’m joking…), but it is clear as glass in the case of Margo Lanagan’s The Brides of Rollrock Island. I liked the book, but it did not melt me down and make me into something new. I couldn’t put it down, but when I was done I didn’t feel as if my heart had been engaged. I recognize its excellence, but I am not buying it by the case for Christmas presents. One thing this book did do? It made me a fan of Lanagan’s writing. I’ll be back for more. On remote Rollrock Island, men go to sea to make their livings—and to catch their wives. The witch Misskaella knows the way of drawing a girl from the heart of a seal, of luring the beauty out of the beast. And for a price a man may buy himself a lovely sea-wife. He may have and hold and keep her. And he will tell himself that he is her master. But from his first look into those wide, questioning, liquid eyes, he will be just as transformed as she. He will be equally ensnared. And the witch will have her true payment. Margo Lanagan weaves an extraordinary tale of desire, despair, and transformation. With devastatingly beautiful prose, she reveals characters capable of unspeakable cruelty, but also unspoken love. Selkie myth has always fascinated me, and I think it has to do with water. I spent my childhood and early adulthood in water (pools mostly, with the occasional lake thrown in), swimming competitively. I am familiar with gradations of water clarity, the taste of waves, the feeling of weightlessness, and the joy in cutting through calm with honest exertion. Water is in my blood, and it will always be. Because it is, books set on water, or on islands, or about sea creatures, will always hold a special interest. To bring it back to the book at hand (which is called Sea Hearts in Australia, by the way) – Lanagan does an amazing job of writing about the mystery of the sea and a close, isolated island life. Her narrative is a mixture of magic, sadness, bitterness and humanity. It is told from several character perspectives, and over several generations. This structure no doubt contributed to my difficulty in latching onto one character or another as a favorite or most effective storyteller. However, the central figure in the book is Misskaella Prout, a proud, miserable girl (and later, woman) who changes her island in unnatural ways. Lanagan’s skill is evident in her portrayals of Misskaella and the other inhabitants of Rollrock – the reader understands and hates them equally, for different reasons. There is no black and white here: Rollrock is all gray and there's a feeling that it has always been so. This signals (at least to me) remarkable writing and storytelling. However, the ambiguity and selfishness and humanity of each character also kept me from gathering them into my heart. Rollrock, with all its complexity, felt like an adult novel (and by that I mean that the morally ambiguous characters overtook all other aspects of the story). 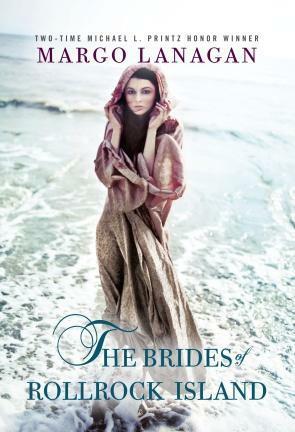 The Brides of Rollrock Island is an outstanding book, but I did not appreciate it as I had hoped to. Recommended for: fans of selkie myth, those who enjoyed Maggie Stiefvater’s The Scorpio Races, and anyone who likes their mysteries deep, their fairy tales dark, and their reading ambiguous and beautifully written. Fine print: I received an ARC of this book for review via NetGalley but didn't read it in time... so I ended up getting it in ebook form from my library. I'm mushy and I like Maggie so I'm thinking this one is for me. I love Margo Lanagan's writing. Her short stories are amazing. I'm also a fan of selkies, so I have this one on my wishlist. It seems like you still liked this one quite a bit, even if your heart didn't fully engage. Hearing so many great things before reading a book is always tough.